The Ubud Hanging Gardens is a resort found in Bali, Indonesia. 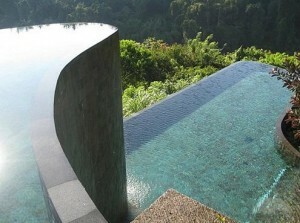 The world-class resort has become renowned for its ‘hanging’ gardens and infinity pools. It is called as such because the resort itself is located in steep rice terraces, creating the illusion that the pools and gardens are actually floating on air. Infinity Pools and Gardens. The most striking feature in the resort is a large multi-level infinity pool that are shaped and curved to match the look of the nearby hills. Due to the location, anyone who swims in the pool will be rewarded with great views of the mountains of Bali and the nearby temples such as the ancient Pura Penataran Dalem Segara. In other words, it is tropical paradise at its finest. Hotel Accommodation. The hotel itself is very lavish. Adorned in iconic Balinese architecture, the rooms are spacious, airy, and welcoming. There are also lots of secluded spots and private decks where you can lounge around and enjoy the atmosphere. 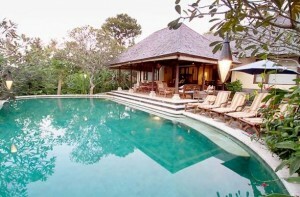 It’s the perfect place for those who want to hide away, meditate, and just indulge in the serenity of the Bali hills. Boutique and Spa. Despite being quite secluded, the Ubud Hanging Gardens resort comes with all the modern facilities found in luxury hotels. 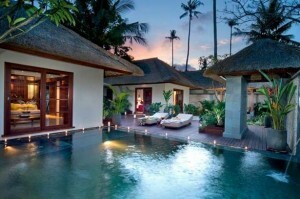 Aside from the pool and the gardens, the resort has its own boutique and spa, called the Ayung Spa. Dining. Once in the resort, you don’t have to leave, as there are in-house dining options to meet your every mood. The Beduur Restaurant serves Asian, western, and Mediterranean cuisine in a five-star menu, while the Diatas Pohon Café is perfect for a laid-back lunch or a quick snack. The Bukit Becik Bar, on the other hand, offers Balinese cocktails and an open terrace where you can unwind under the Bali sky. Due to everything it offers, the Ubud Hanging Gardens is perfect for honeymooners or couples on a getaway, but they’re also great for families looking for a quiet retreat. If you’re in Bali for a getaway, it’s perfectly normal to spend every single day pampering yourself in a spa. Thankfully, there’s no need to be redundant, as the spas in Bali almost cannot be numbered. This does pose a problem, though: how do you choose which spas to visit? Well, here’s a shortlist of the best spas in every area of Bali. • Mandara Spa: With impressive water features and natural stone sculptures, the Mandara Spa in the Hotel Padma Bali is a divine place to embrace nature and free yourself from your worries. • Jamu Spa: Don’t leave Bali without trying out the unique fruit-inspired massage at Jamu Spa. The special message uses tropical nuts, papayas, and coconuts; it’s rather unusual, which will make your trip even more unforgettable. • Ambiente Spa and Wellness: A popular spa chain in Bali, Ambiente offers all kinds of spa treatments, including reflexology and aromatherapy. • Anika Spa: The best place for stone massages, chocolate treatment, and Ayurveda packages designed to refresh your soul and body, the Anika Spa combines the usual massage techniques with more unique and authentic Balinese techniques. • Jari Menari: The name Jari Menari means ‘dancing fingers’ and sure enough, the all-male massage staff of this well-known Seminyak-based spa uses massage techniques that focus on rhythm. 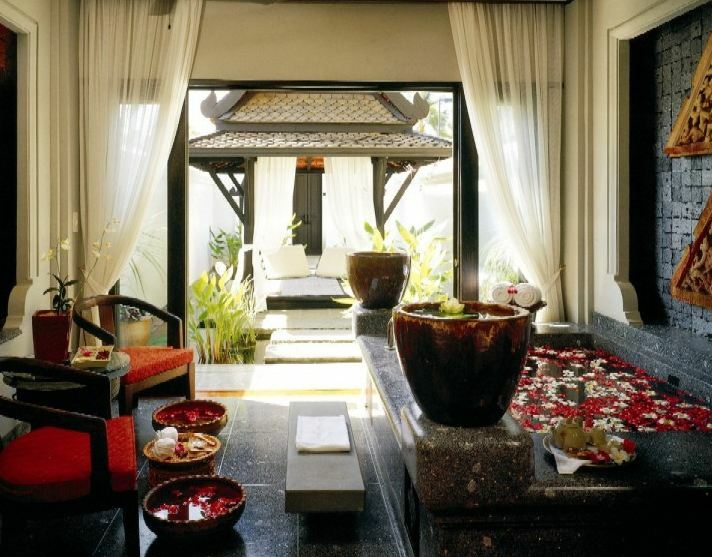 This is an award-winning spa and is often dubbed as the best place for a massage when you’re in Bali. But due to its popularity, there is usually a waiting list, so booking early is necessary if you wish to get a spot during your vacation. • Lagoon Spa: This is a must-visit, if only for the Great Seminyak Estate signature massage, which is a unique combination of Shiatsu, Balinese massage, palm and thumb pressure, and arm and long strokes. This massage technique is designed to ease muscular tightness and tension. • Raga Spa: This spa offers another must-try signature massage, the Raga massage, which they compliment with a soothing cup of ginger tea. • Ubud Sari Health Resort: This spa resort offers a unique spa treatment called ‘total tissue cleaning’, which uses purely organic and natural ingredients. It’s a great place for detoxing and its location in the secluded Ubud is just perfect. • Zen: For chic spa treatments such as luscious body scrubs, spice baths, and many others, go to this widely known, tourist-friendly spa. 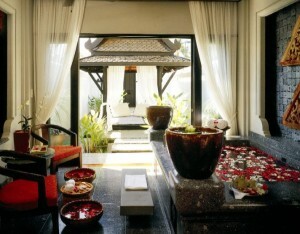 • Mango Tree Spa: With 5 treatment villas, Mango Tree Spa offers luxurious pampering at its finest. 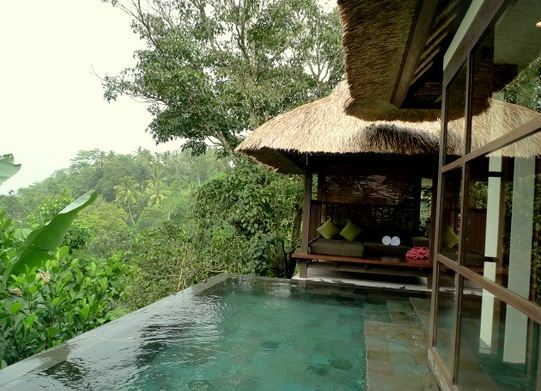 They also have the highly demanded Mango Tree Spa experience, a unique treatment conducted in a traditional bamboo tree house that offers a majestic view of the Ayung River Valley. The sound of the flowing river caps off the experience perfectly. • Aroma Spa Treatment: This is a relatively new spa that opened in mid-2011. The spa offers day packages featuring 7 hours of integrated treatments. The unique concept is welcomed warmly by tourists and locals alike who are tempted by the idea of a full day of pampering. 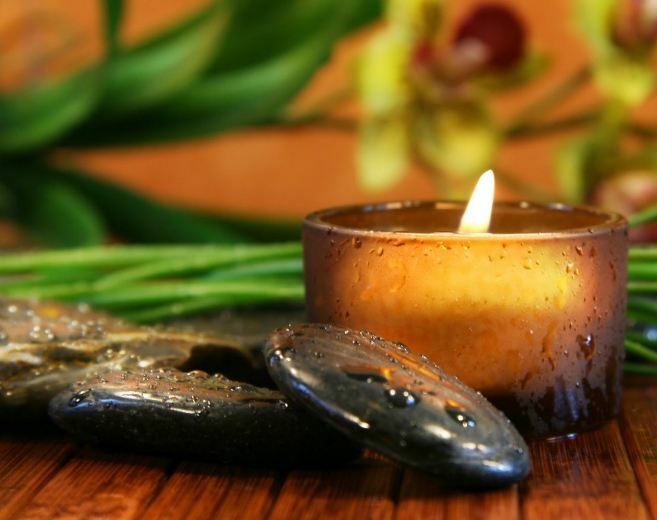 The massage therapists of this young but popular spa are all trained extensively in the Aroma Technique and also undergo continuous training every month. To say that Bali is the Asian center of the spa industry is an understatement; it is more apt to say that Bali is the source, as it is where you will find the most unique spa experience that you won’t find anywhere else. It’s not just about the treatment; Bali’s ambiance as a whole is just perfect for a pampering getaway.